Sushi & Cigars: Welcome to Japan Mitch! No matter how you fly, getting from Toronto to Tokyo is a long flight. Sitting in the window seat of Row 62 probably makes it that much longer… especially when you are my height and size. Since Friday was going to be a regular working day for me, my real first relaxing evening would be Friday, and even so I decided to stay close to the hotel. 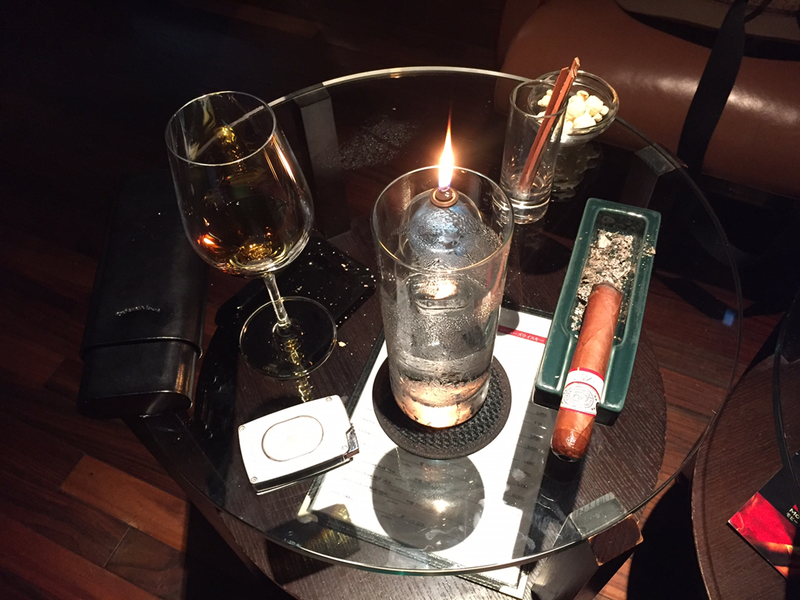 On my first trip here I discovered that while Japan is a nation of smokers, cigars have not quite become mainstream here, So imagine my surprise and delight when walking around my hotel looking for a bank machine I discovered a cigar lounge with a walk-in humidor filled with (mostly) Cuban cigars, and a very respectable selection of single malt whiskies. Following my first sushi dinner of the trip I walked back to Le Connoisseur Lounge in the Akasaka Flora Plaza in Minato-ku. Once they explained to me that there is a cover charge of 1,080 Yen (about $10) they seated me in a lovely leather arm chair. I settled in, then walked over to the bar to peruse their selection of whisky. The bartender noticed, and asked if I wanted to try a Japanese whiskey, not realizing that while I am not quite a connoisseur I am definitely a keener. He handed me the list, and I immediately noticed that my all-time favourite – Nikka Yoichi 15 – was on the list. This was a bonus, because the 15 year old has been discontinued, and is very hard to find. As I sat down the waiter brought me a hot towel; this is not uncommon in Japanese bars and restaurants, and is extremely welcome, especially on a humid night where one will walk in from a light mist outside. While their humidor is extremely well stocked and the prices are reasonable, I had left my hotel not realizing I would find a cigar lounge, and I had my own. I asked if I was allowed to smoke my own, and they said that I was. A lot of places I have visited add a ‘cutting fee,’ but I suppose that is offset by the cover charge, no worries. As I prepared my H. Uppman cigar, the waiter brought my drink – neat of course – and a glass of ice water on the side, and a small bowl of popcorn. At my table waiting there was an ashtray, as well as a lit oil candle, and a shot glass with cedar sticks for those who did not bring their own butane torch. If my Japanese was better they would have offered to cut and light it for me (I observed them do so for other patrons), but either to save my having to explain that I don’t understand, or because they saw me put my cigar punch and torch on the table they let me punch and light it myself. The atmosphere here is wonderful – while you can smell the cigars, it is well ventilated and the smell is not overpowering. The furniture is rich leather, the bar mahogany, the staff wearing white shirts, black neckties and vests. As I look around there are a dozen people in the place including three women (none of whom are currently smoking). Along with their bar (which does not seem to have the typical well drinks), they also have a cappuccino machine for those who prefer caffeine to alcohol. While I did not ask about food, there is a trio of Japanese businessmen from Osaka at the table in the corner who have a selection of edibles that they are sharing. And yes, they have WiFi for those of us who are dedicated to writing for our readers on a Friday night. I have been here for an hour, and decided to shift from the Yoichi to another whisky I have been meaning to try – the Taketsuru 17 Pure Malt. While strictly speaking it is not a single malt, my understanding is that Pure Malt (a Japanese concept from what I can tell) is a nice compromise, and is extremely nice and smooth. I would compare it favourably to a Glenfiddich 15, with a fruity bouquet. To accompany the new whisky I lit a new cigar, this one a Romeo y Julieta Belicoso. As he reads this I can imagine my friend Brian saying to himself that he wished he could hop on a plane to join me. Brian, come on down! Le Connaisseur (www.leconnaisseur.jp) was a great discovery. 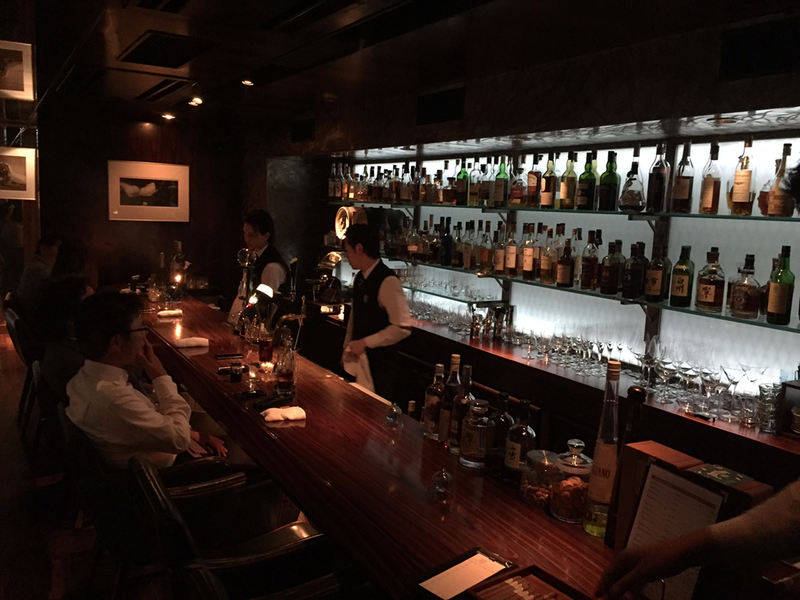 With six locations around Tokyo (Ginza, Shibuya, Roppongi, Chiyoda, and Minato-ku are all areas I am familiar with) it has become easier to decide where to go when I do not want the hustle and bustle of my regular standing bar. If you find yourself looking for a great place to hang out in a normally hustle-bustle city, this is definitely the place. I can assure you that I will be back! How long are you in Tokyo for? If it isn’t too stalker-ish I’d love to grab a beer (or a whiskey). I’ve been reading your blog for years. If you’re up for it give me a DM on twitter @SQLMD. Hey Melsar I always love meeting up with my readers! I will DM you now, and thanks! Oh, and I am in town until December.